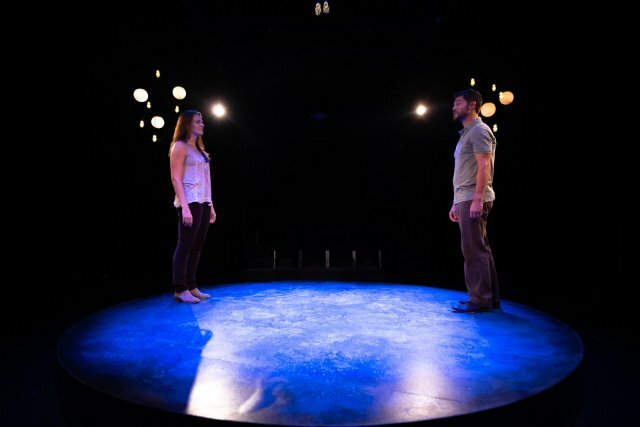 Photo by Ryan Arnst Jessica Schulte and Jordon Armstrong appear in New City Players' production of Constellations. 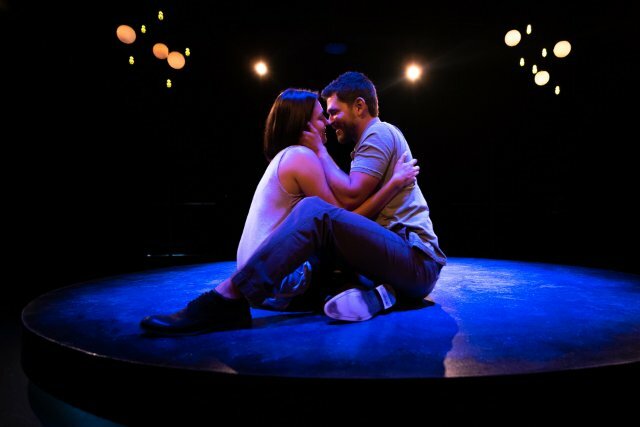 Photo by Ryan Arnst Jordon Armstrong, who plays Rolanda, and Jessica Schulte, who portrays Marianne, are convincing as a close couple in Constellations. 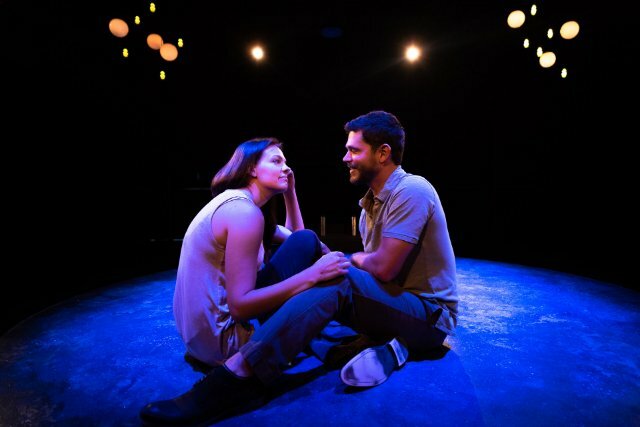 Photo by Ryan Arnst Marianne (Jessica Schulte) and Roland (Jordon Armstrong) grow comfortable and close with each other before a rift forces them apart in Constellations. Donald Trump won the 2016 presidential election. The two meet at a party (or perhaps they don’t, in an alternative universe). Then, the pair fall strongly in love, but their situation grows tense as infidelities come to light – just who slept with another person depends on which universe you’re talking about. After a while, Marianne and Roland meet again, by chance. Then, a variety of situations occur — again, depending on the universe.